As a bachelor party send off for a good friend Mark Allen, a motley crew of outdoor advocates and me decided to take him to the desert for 3 days of fun in the sun (and apparently snow). 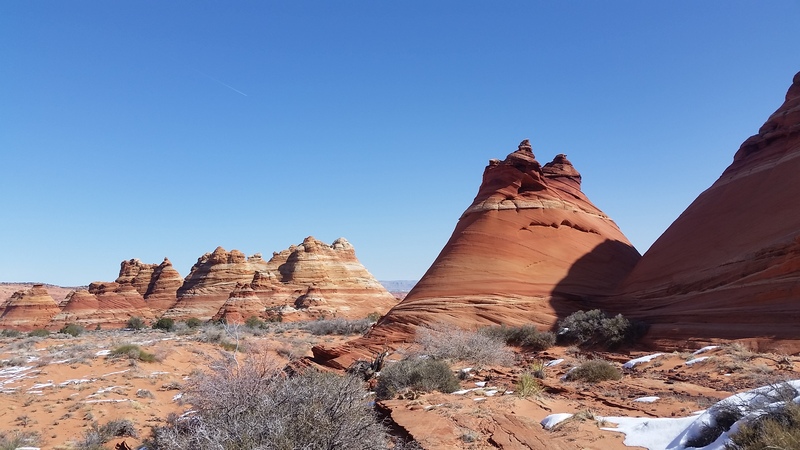 We plan to explore 3 different hikes on or around the Paria Plateau including Coyote Buttes (The Wave), Vermillion Cliff Sand Hill Crack Loop climbs, and a final Vermillion Cliff ascent via Cathedrial Wash from Lee’s ferry. Day 1: We set out from phoenix full of excitement and anticipation for the long weekend of enjoying the outdoors to come. Phoenix was still warm when we left the afternoon for the long drive up to the Paria Plateau. After a quick stop in Flagstaff Az for food we continued driving our loaded down rig (5 guys plus gear whew thank the lord we had a tough truck (appreciate it Stevo!)) towards the trailhead. 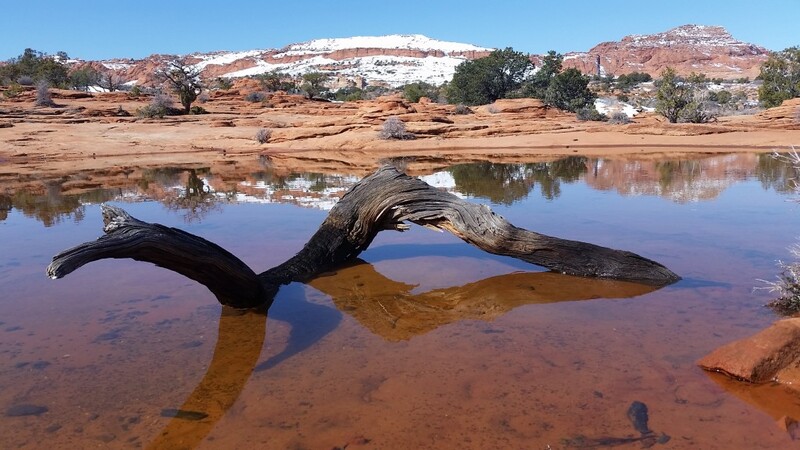 We reached the dirt road that lead to the Cottonwood Cove trailhead on the southeast side of the Coyote Buttes area around midnight; we were all so exhausted after the long trip we set up camp only 3 miles in just before finding a few large half frozen waterholes. The ground was frozen and hard as rock, perfect for staking a tent! After crashing out in 20 degree (F) temps we woke after the sun rose to spark up a fire and get breakfast rolling. Before I knew it we were loading back into the truck and finishing out the last few muddy miles to the trailhead. Parked, Grabbed packs, and filled with excitement to see The Wave we headed out. We had a nice 4-5 mile trek (one way) across open desert to reach the rock formations that housed The Wave. As we neared the first formations we stopped for a quick break to climb up and on everything! The whole crew looked like kids in a candy store; the rock formations were out of this world and would be indescribable without the aid of pictures (which still don’t do them justice). 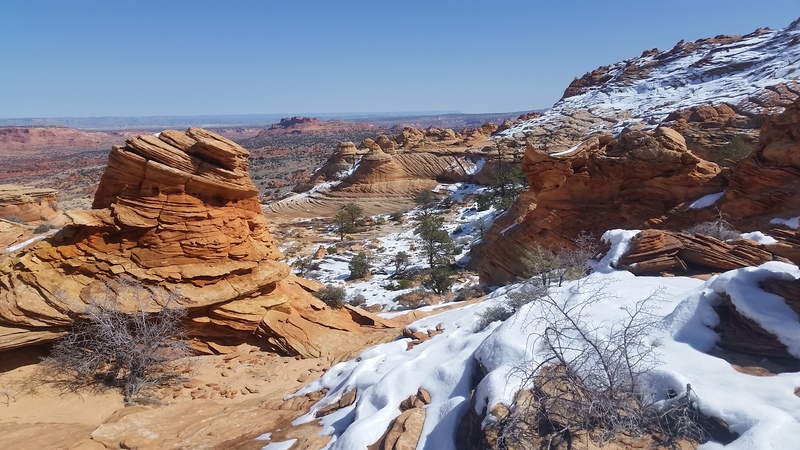 After exploring the first group of formations we trekked across open desert up a good 40 degree sandstone grade which leads to the ridge that would take us to the wave. Pools of water and lone pines growing out of the rocks stood sporadically throughout the area. The temps although cool, were surprisingly warm with the unforgiving sun beating down on us from the 6000 feet elevation. We reached the top of the Coyote buttes and walked north towards The Wave along a main ridge with drop-offs on either side. We finally reached the last Northern facing drop-off before our target, after scoping out the decent, we bombed down the smooth carved sandstone. On our way we bumped into a BLM Volunteer, who was sure to make sure we had our permits. After a quick chat we trekked on, totally star struck with the rock formations and taking pictures as if we would have amnesia once we left and only the pictures would stand as proof that this place existed. What an incredibly beautiful area. 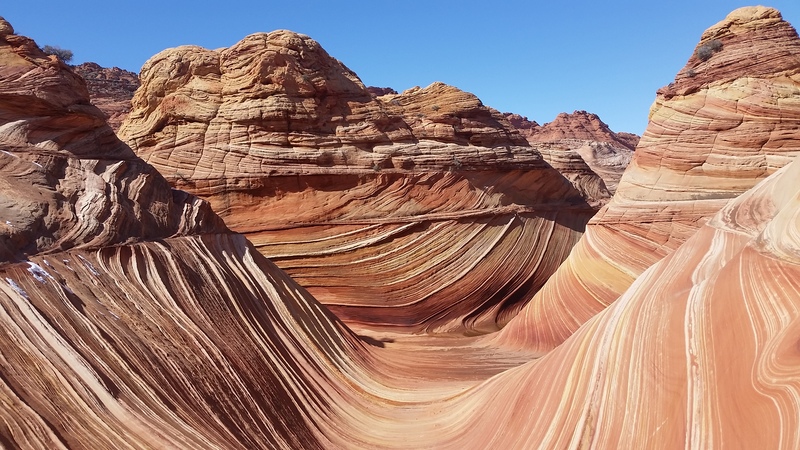 The Wave is special; however the entire area is filled with equally stunning and spectacular rock formations (so don’t get sucked into just this one spot!). Once realizing our time was growing short we headed back up the sandstone slope to the ridge where we trekked back across some of the most breathtaking land in Arizona to the trailhead. What an awesome day, well worth the drive, 4WDing, and time to snag permits. Truly a once in a lifetime experience (the BLM makes sure of that)! Column holding one heck of a rock! please leave your light sabers at home! 3am my blasting alarm wakes me up, one eye, opened I hit the off button. In the middle of the night I stumbled through my house, grabbing my backpack, pulled my boots on, and before I knew it coffee in hand was pulling out of my driveway. Wiping the sleep my eyes I found my way to the I-10 heading south for the 3 hour drive to take on Mica Mountain. 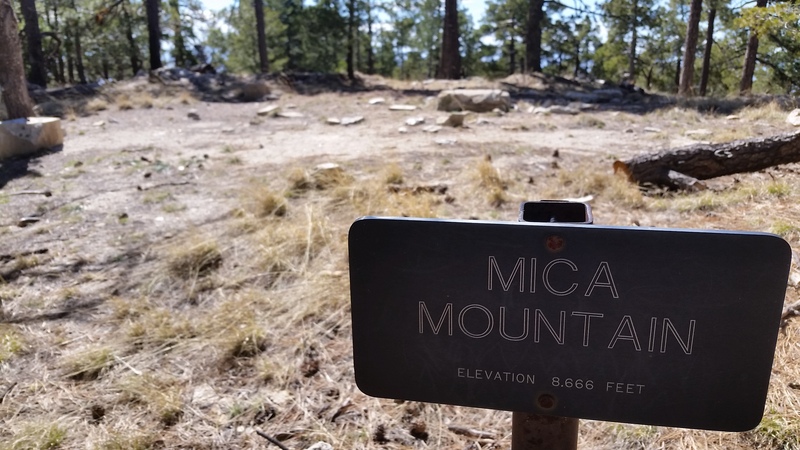 Mica is one of the big boys surrounding Tucson boasting 5,500 feet of accumulated gain inside 10.5 miles (one way) topping out at 8,666 feet. This morning I headed out for a much needed solo trek, sometimes a little one-on-one time with the trail is just what’s needed to clear the mind and reground the ego. 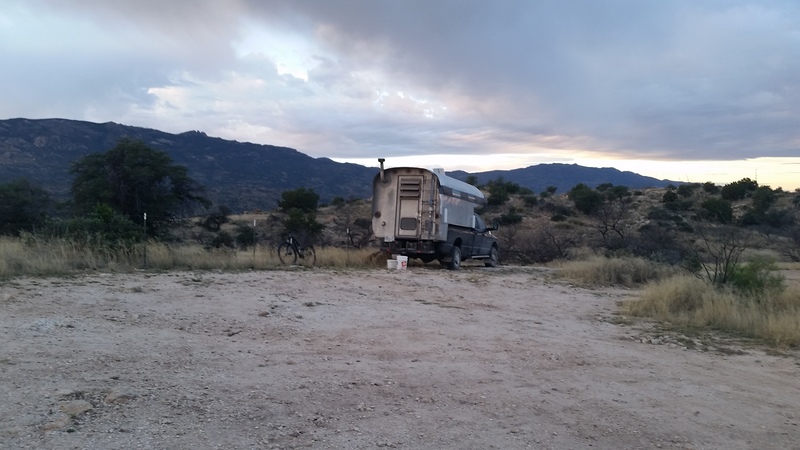 I found my way to East Redington road which turned into a dirt road for a 12 mile stretch before I found the trailhead, a small pull out on the side of the road. 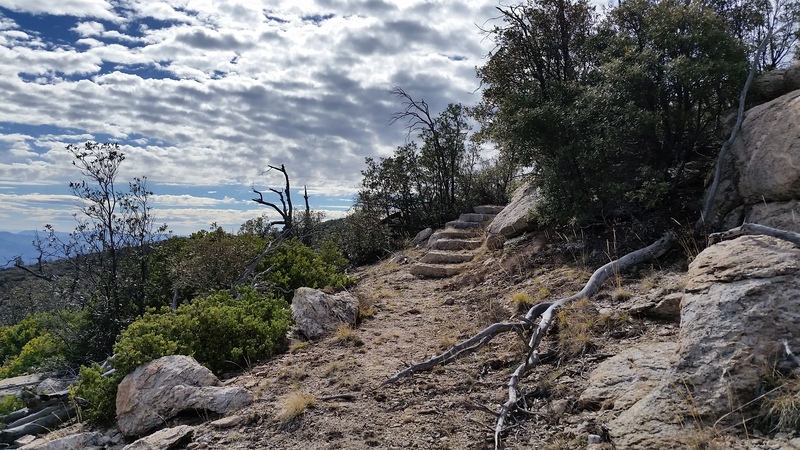 There is a 4WD road that takes you all the way to Italian Spring trailhead, but unfortunately my 2WD truck was going to make the trek so I decided to walk the extra 2.5 miles from Redington Road along the AZT saving my truck some tough terrain. As I pulled up to the pull off I was surprised to see a F150 sitting there with a sweet camper on the back, a mountain bike was nearby leaned against a fence. This guy looked like he had been roughing it for a while. Hello Mica, I’m coming for you! I grabbed my crap and let out on the trail just as the sun rose. The first section was relatively flat just rolling through a cactus scattered open field. The trail through this section was surprisingly nice and smooth. I pressed on through the Italian Springs trailhead where the 4WD road tied in at a wash crossing. As I trekked through I watched the clouds closely for signs of precipitation, the clouds clumped and dispersed across the sky, it was a beautiful day. After the wash the trail begain to gain in altitude through the foothills leading to the Ricon Mountains (Where Mica Mountain resides). Slowly the plants and terrain started to change. Watching the changes from cactus to pine is always one of my favorite things to see when trekking through desert areas. Pressing past the foothills the trail really started to pick up in incline and didn’t seem to want to give up as I approach the spine of Mica Mountain. When I was trekking along the flat on the initial approach I thought “oh that doesn’t look too far away”, I trekked some more, then some more, then some more . . . yea not as close as it seems! 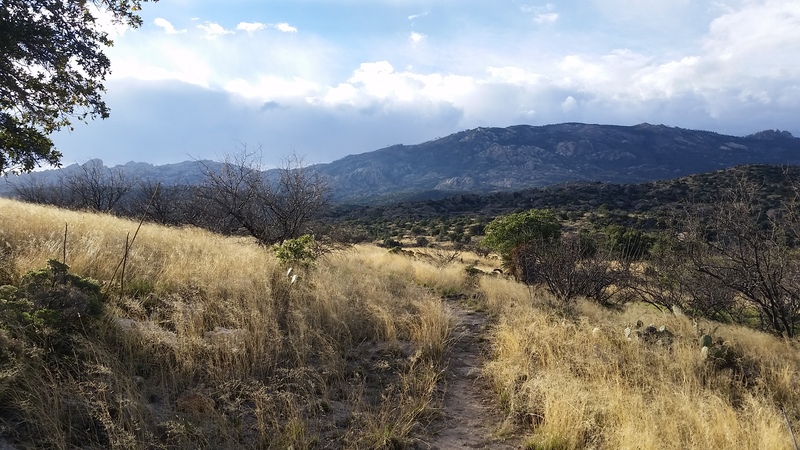 Climbing I passed through cactus, crossing rolling springs/creeks, trekking through section of beautiful open fields, winding rock trails, and soon manzanita lined trails until finally I reached the burn area which noted that I finally found the spine of the ridge. 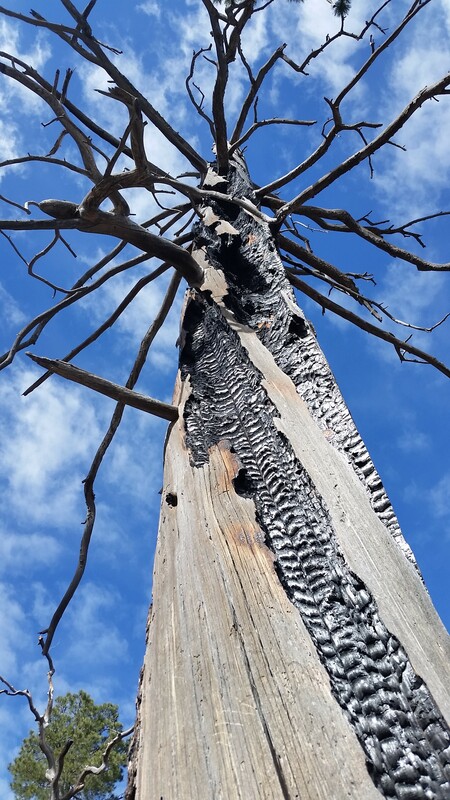 Burned areas are never all that great to see, always remind me of the end of something beautiful that stood, but also that this was a necessary cycle of the forest here in Arizona. I looked up towards the top and saw patches of green standing pines and knew I would soon be setting foot among them. I pressed on, and as I did the wind picked up and the temperature began to drop. Soon I was walking among the pines; listening to the winds song through the tree tops just made everything that much better. Sun shining high above the trees and the rays could only touch the ground where the lush green leaves allowed it. The trail twisted and winded up up and on through the trees towards the peak glimpsing expansive views of the valley below as I kept walking. 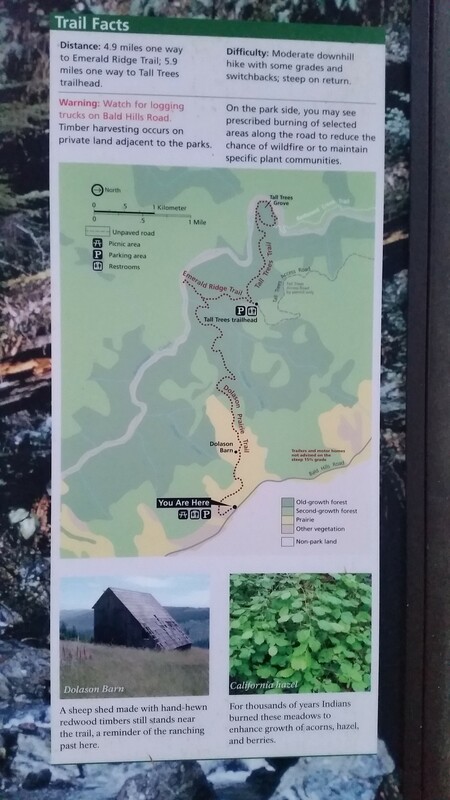 Finally I reached the peak which only had views of the surrounding forest and the foundation of an old lookout tower. 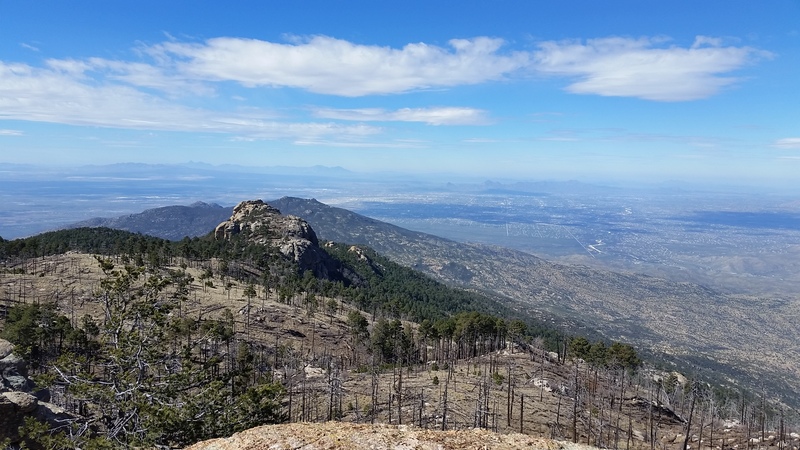 I signed the registry and decided to push the extra half mile to Spud Rock where I got some of those great expansive views over Tucson with Mount Lemon in the distance. The wind was turning pretty well by this point, I threw on my hoody and laid on the rock for a quick rest and snack. Man the views up here really give you perspective of not only the landscape around below but also on how minuscule some issues can be in the grand scheme of things. I turned, saturated with mountain views and headed back for the truck retracing my steps and snapping pictures the full way. I saw no other soul on the trail and it was kind of nice to have only the sound of the wind and the trail beneath my feet to keep me company. I trekked back to the truck without fault enjoying seeing the same trail that I saw that morning from the opposite direction. Sometimes a solo trek is just what is needed to get everything back in balance and in perspective. What an awesome trek! Is it just me or does this look like a face?